The United Nations World Food Programme (WFP) raised the crisis classification for Mozambique's flooding after it was struck by Tropical Cyclone Idai to its highest level, which it said put the disaster on par with Syria and Yemen. "The designation will accelerate the massive operational scale-up now underway to assist victims," the WFP said in an online statement. "To date, more than 20 000 people have received WFP food assistance." A million people have been affected by flooding in the wake of Idai that ripped through the region a week ago and 417 have been confirmed dead in Mozambique, Celso Correia, spokesperson for the government's emergency response team, told reporters on Saturday. At least 154 others have died in neighbouring Zimbabwe, that country's Herald newspaper reported. From March 14, Idai caused floodwaters to submerge hundreds of square kilometres of central Mozambique as rescuers used helicopters and boats to save people stranded in trees and on rooftops. 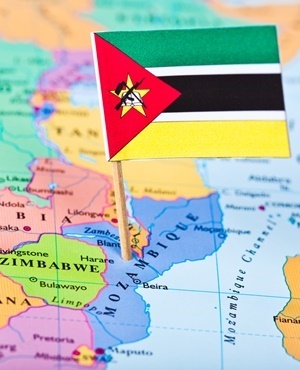 The Mozambican government has officially asked for international assistance. Beira, the port city home to more than 500 000 people that bore the brunt of the cyclone, has been cut off by road, causing shortages of food and water. Satellite imagery shows numerous floodplains, including an "inland ocean" that is the size of Luxembourg, the WFP said. While almost 90 000 people have been saved, according to the National Institute of Disaster Management, at least 600 000 people have been displaced, the WFP said. "The situation will get worse before it gets better," Henrietta Fore, an executive director of the United Nations International Children's Emergency Fund, said in an emailed statement on Saturday. "Aid agencies are barely beginning to see the scale of the damage. While the search and rescue operations continue, it is critical that we take all necessary measures to prevent the spread of water-borne diseases which can turn this disaster into a major catastrophe." "In Beira city, food prices have reportedly risen by about 300%, with long queues observed for staples such as bread and fuel," the UN Office for the Coordination of Humanitarian Affairs said in a statement. "The city remains without electricity, while telephone and internet communication is intermittent."